I mostly failed last years resolutions because 1) I wasn’t a consistent blogger at all 2)I didn’t keep track of my short story reading because it was almost inexistant in 2017. However, I didn’t request too many books from Netgalley, I DNF’d a bit more and I didn’t buy too much physical books. So everything isn’t a complete failure! To continue the tradition, here are some bookish goals for 2018! This one is pretty easy as it means reading a book a week which is completely doable. I didn’t read as much as I wanted in 2017 but I realized that I don’t want to put pressure on myself this year. 52 books is way more than what the average anyway! If I read more, that’s good, otherwise, it isn’t really a big deal. Who cares how much I read anyway? 99.99% of my reading is fiction and I would really like to branch out more in the realm of non fiction. I read two last year and they were absolutely amazing so I want to read more than two this year. I do have a couple of them on my Kindle already so that shouldn’t be too difficult! I read a good number of 2017 releases last year which was fun but I neglected a bit my backlist reading. I have a ton of older books on my Kindle that I am drawn too but I was too excited for new releases to give them a try. So less new releases and more backlist! 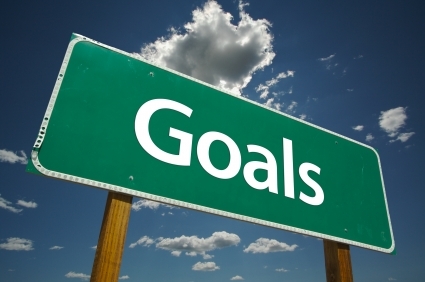 Those goals really matter to me, the other ones are for fun! If “a friend” happens to need a ravening horde of slave monsters to, say perhaps, rule the world, would your biological engineering’ness help? I’m just asking for a friend, mind you! Friends, eh, what are you going to do about them? These goals seem very doable! I too want to read more literary fiction and non fiction. I just need to let go of some of the shiny new SFF books coming out this year! Here’s to a great 2018 – for *everything*! Haha, I tend never to make new year resolutions, because even that is too much pressure. Though I do try and adapt my reading habits as I go along 😀 Wishing you best of luck on your 2018 goals! Good luck with your goals. They do seem achievable and I think not being too structured about them should keep them fun. Good luck! I promised myself no goals this year, but I’ve ended up in various motivational challenges instead – oops? No pressure though. My goal would be to write more reviews but ALSO to stress less about posting reviews because I don’t want to start stressing about things that are book related haha! I wish you all the best for 2018 and your goals! I’m with you for the backlist, so many 2017 titles I still want to read! Same here, in 2017 I wanted to review everything and it ended up completely stressing me out so I hope 2018 will be a bit more chill!